Mother's Day Event is specially designed for celebrating this great festival all over the world. 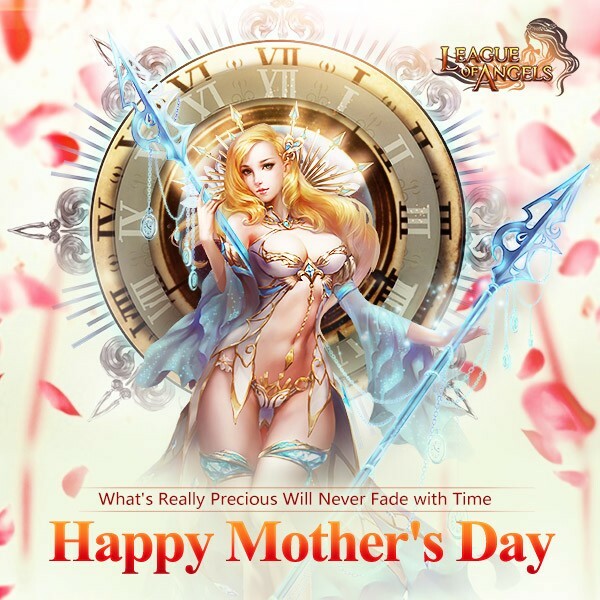 Although May 10 is over, but we would like to make it a longer time in game, which reminds us that our affection for mother is not limited within one single day, actually it should last forever. 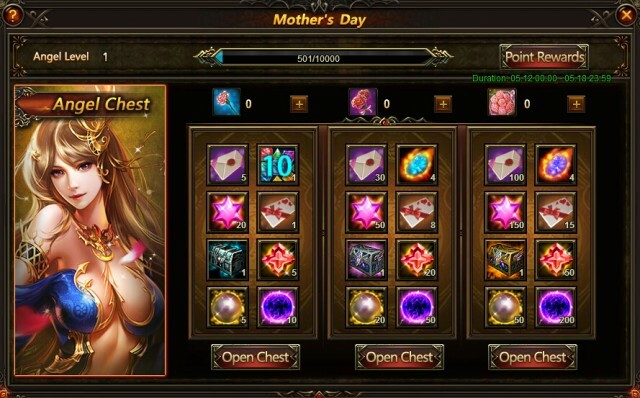 This is the button of Mother's Day event, click it. Ready? Let's go! 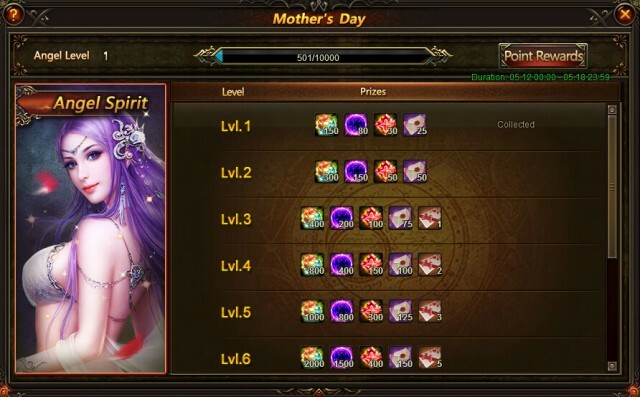 Click the icon of Mother's Day and you will see four parts. They are Angel Spirit, World Boss, Angel Chest, and Angel Shop. 1. Every Gratitude Card acquired will earn a player 1 personal point and increase the Angel Spirit's EXP by 1. Every Fine Gratitude Card acquired will earn a player 2 personal points and increase the Easter Spirit's EXP by 2. 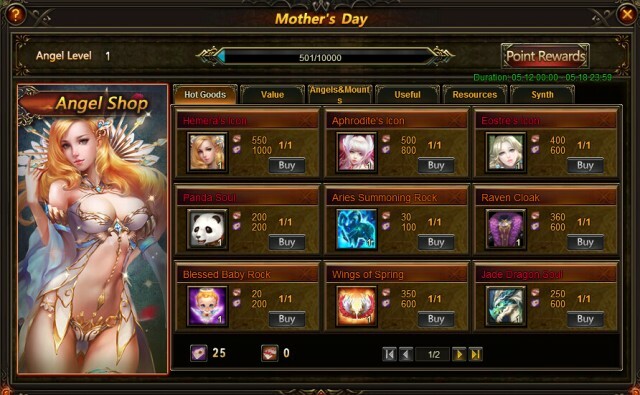 Description: Recharge certain amount of diamonds to get items for Mother's Day Event!